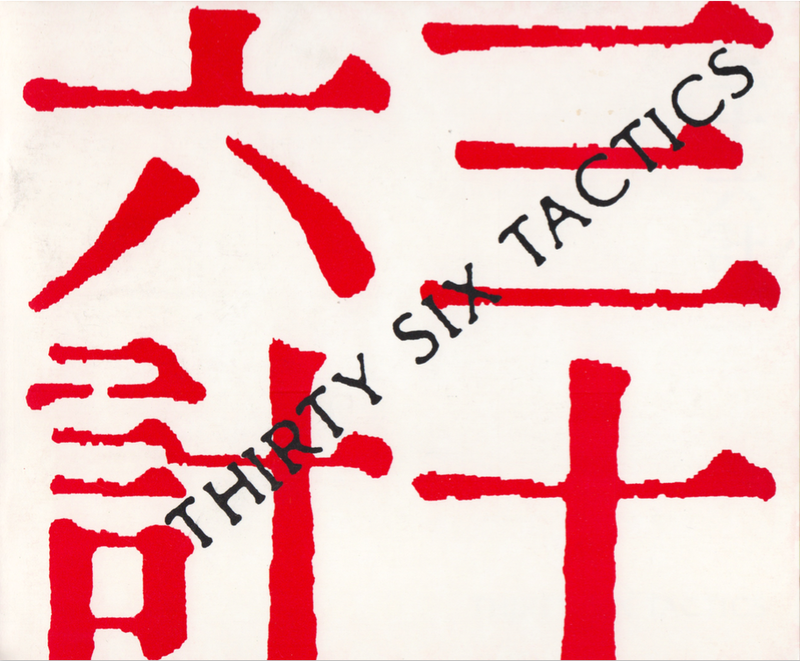 Thirty-Six Tactics. Copyright ©1988 Epoxy Art Group. Acquired by the New Museum, New York. Founded in 1982 by Ming Fay and five other artists from Hong Kong, Epoxy was an art collective that offered a supportive community for Chinese American artists living in New York City. The group progressively evolved into a platform for collaborative projects that explored cross-cultural perspectives, gluing Asian and Western influences. Epoxy exhibited at numerous venues including the Asian American Arts Centre (1988), the Alternative Museum (1987), and Kwok Gallery (1983), with works in the collections of both the New Museum and the Asian/Pacific/American Institute at New York University.